Home » Our Doctors » Christian Twamley, O.D. Dr. Christian Twamley is well known for the exceptional care he provides to his patients and is highly respected by his colleagues. 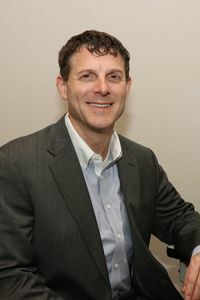 Dr. Twamley earned his bachelor’s degree from Kansas State University and his doctorate degree from University of Houston College of Optometry. He has been published in the Journal of Biochemistry and the Journal of American Optometric Association. Dr. Twamley’s clinical experience includes over 20 years of patient care which includes time spent at The Veteran’s Administration Medical Center in Albuquerque, NM and Evans Army Hospital in Fort Carson, CO. He is an active member of the American Optometric Association, Texas Optometric Association, the Tarrant County Optometric Association, and member of International Lions Club. Dr. Twamley focuses on caring for his patients primary eye care needs, treating anterior eye disease, keratoconus, glaucoma, cataract, diabetic retinopathy, and conditions that cause retinal atrophy such as MS, lupus, and infectious diseases. He is well known for fitting medically necessary contact lenses, treating glaucoma, dry eye, infectious conditions and providing supporting medical tests for Rheumatology, Internal Medicine, and Neurology patients. Dr. Twamley is a provider for most health and some vision insurance panels.